It looks to be the real thing this time. Andre Holmes is signing with the Bills, Ian Rapoport of NFL.com tweets. The former Raiders wide receiver drew an offer from Buffalo this week, one that was mistaken for an agreement by the NFLPA. The Bills announced the move. It’s a three-year pact worth $6.5MM, per Rapoport (on Twitter). This proves interesting since the Bills’ leaked offer was for three years and $4.5MM. This stands to provide the Bills a pass-catcher with some experience, albeit with a bit of an inconsistent track record. This appears to conclude an interesting situation, one that revealed the terms of Buffalo’s offer to the sixth-year wide receiver before he actually agreed to terms. Three days later, though, Holmes looks to be on his way to western New York. 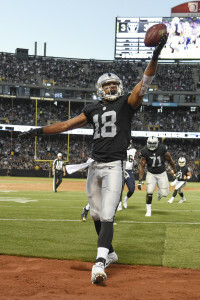 The 28-year-old Holmes played the past four seasons as a member of the Raiders, drifting downward in Oakland’s pass-catching pecking order as the team continued to stock its receiving corps. 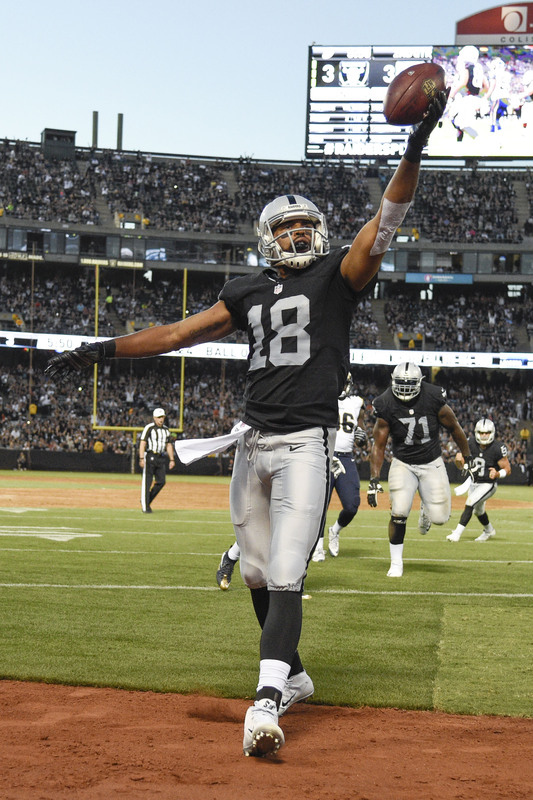 The Raiders re-signed Holmes on a one-year deal last spring but used him as their No. 4 receiver. Previously having accumulated a 693-yard, four-touchdown season on a less talented 2014 Raiders team, Holmes caught just 14 passes for 126 yards while playing behind Amari Cooper, Michael Crabtree and Seth Roberts last season. A former UDFA, Holmes did haul in three touchdown passes in 2016. He actually commanded considerable interest this offseason, with as many as six teams pursuing the UFA wideout. Holmes visited the Lions but opted to sign on with the Bills as one of Sammy Watkins‘ sidekicks. He joins a Bills team that lost No. 2 man Robert Woods in free agency and saw Percy Harvin retire again. Holmes should have a better path to regular playing time in Buffalo, which added potential supporting-casters Corey Brown and Jeremy Butler this offseason.